Mobile Acceleration Week kicked off in Herzliya, Israel this week, the first stop on a seven-country stretch that includes London, Munich, Moscow, Helsinki, China, and India. The opening event had nearly 200 people in attendance, including mobile developers and members of the press. Microsoft and Nokia presented first, discussing the latest momentum of the Windows Phone partnership. Sela followed with technical sessions on the Windows Phone Mango release, UI/UX, and the development platform. Microsoft and Nokia hosted a joint press conference on Sunday morning, with key members of the Israeli press and blogging community in attendance. The rest of the week promises to be equally active, with 1:1 consulting sessions, panel discussion on Marketplace and monetization, as well as technical sessions and workshops each day. The event culminates on Thursday with our Demo Contest, with a panel of industry experts selecting the top applications for the week. Winners will be eligible for special prizes in addition to the many benefits of participating in Mobile Acceleration Week. MAW Israel has 10 exciting startups attending, representing a diverse group of consumer and enterprise apps. Congratulations to all our Israeli startups! Do@ is a revolutionary next generation mobile-optimized search application that tries to minimize the time and effort needed to find information while using a phone. The Pyramid Analytics Suite is a highly scalable, enterprise data analytics application that brings sophistication with simplicity in a synergistic web-based interface for consuming Microsoft Analysis Services OLAP cubes. Pyramid will be developing a mobile viewer for its BI solution. 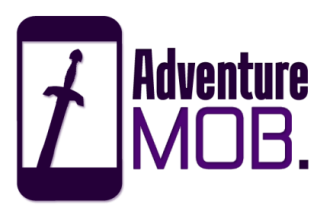 Adventure Mob is part of the Corbomite Games group, one of the leading games developers in Israel. They will be creating a Windows Phone version of Star Shipping game, a space trading strategy game. Play My Tone is a Tel Aviv startup developing a cloud based mobile music social mixer that makes ringtones viral, social and highly engaging. 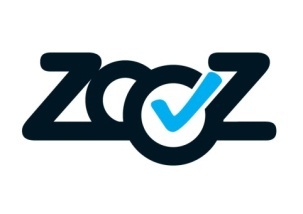 ZooZ is a complete and secure solution that makes it easier than ever to start accepting payments in mobile applications. 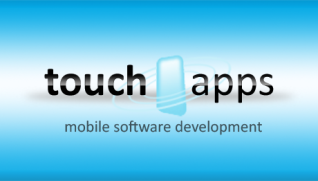 TouchApps is a mobile developer of casual games. TouchApps will be creating a Windows Phone version of its popular “Makeup Girls” game. WorldMate builds your business travel itinerary and puts it on your phone. Your entire travel plan is automatically synchronized with your mobile device. Babylon is one of the world’s leading providers of language solutions, such as online dictionary and translation software, translation services, language learning solutions, English writing enhancement and more. They are developing a mobile translation tool for translating over 75 languages. You can translate one word, phrase or full paragraphs using over 2,000 dictionaries and leading text translations providers. Colorful Apps recently won a Windows Phone competition sponsored by Microsoft Israel. Their app allows people with color blindness to detect colors in pictures or using the cellphone’s camera. They will be developing their next application during Mobile Acceleration Week. Magnet Monkey is developing a puzzle game that makes full use of the movement features of the phone.